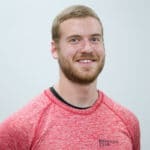 David received his degree in Kinesiology with an emphasis in Exercise & Fitness from the University of Wisconsin-Oshkosh in the Spring of 2018. 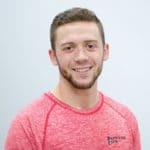 His passion for fitness started in childhood from being heavily involved with athletics, which led to his interest in the human body and how it functions. Overcoming serious injuries that led to the inability to exercise has provided David with the skills and empathy to help those that have had trouble beginning their fitness journey or have struggled with getting back into shape. He believes that good physical health helps in all aspects of life and will lead to a better quality of life for everyone.